The antique Turkish towel features hand embroidered work that has been done at each end of the towel table runner. 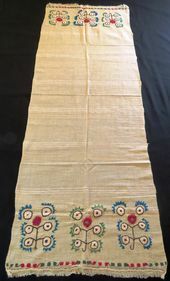 There are 3 images at each end of the antique Turkish towel table runner. The hand embroidered area is 16" wide and 6" deep overall on both ends of the antique Turkish linen towel. The embroidery colors are red, blue, green and black with tiny gold metalic threads. The antique Turkish towel fabric is an ecru color. 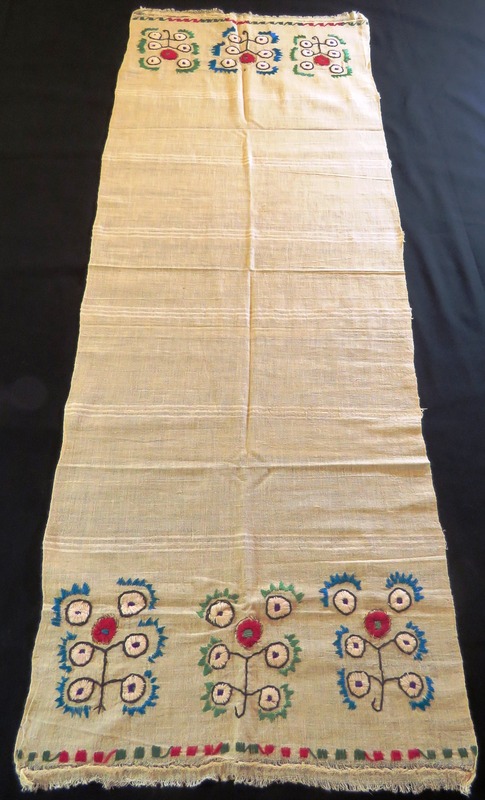 The antique Turkish embroidered towel is in very good condition with no obvious faults.